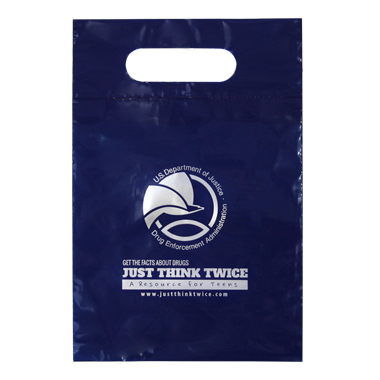 Plastic Bag with DEA Badge and Seal imprint. 2.5 mil plastic with fold-over reinforced die cut handles. 7" x 10 1/2"